Attorney General Avichai Mandelblit convened a secret meeting last week with a number of former senior officials in the legal system, it was reported this evening on News 2. Among participants in the meeting were Aharon Barak, Meir Shamgar, Dorit Beinish, Elyakim Rubinstein, Edna Arbel, Yehuda Weinstein, Moshe Lador, Gabriel Bach, and Yitzhak Zamir. 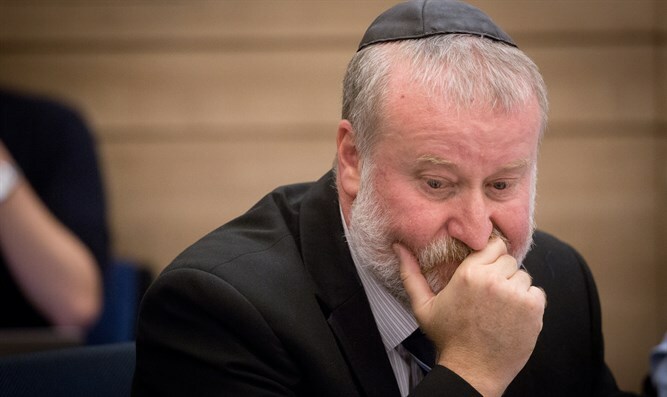 At the center of the meeting was the question of whether it is proper to publish a notice of a hearing in the files of Prime Minister Netanyahu before the April elections, and whether it is legal to do so. According to the report, all speakers at the meeting expressed a similar position that it is appropriate to accept the decision and publish it before the elections. Attorney General Mandelblit said at that secret meeting: "Publicizing the decision before the elections is our duty to the public going to elections. I'll make maximum effort to complete the work as soon as possible, unless there will be a supplementary investigation."